Enrollment for the 2009 Minority Business Executive Program (MBEP) is now open. In this accelerated one-week intensive program participants will learn to utilize financial tools to make more effective decisions, develop and understand long-term strategic plans for growth and sustainability, market their products and services more effectively, manage their processes and projects more efficiently and develop their leadership skills. This program will utilize interactivity through a combination of lectures, discussions, guest speakers, panels, interactive simulations, team exercises, and self-assessments. Participants will gain knowledge, tools, and a valuable network to help them achieve their business goals. Learn more about the MBEP by attending the May 6 information session (details on website), or enroll today by visiting the MBEP homepage. I really believe in ColorsNW and everything they've been doing over the past 6+ years to promote diversity in our workplace and our community. If you don't know them, take a look and sign up for their e-newsletter. Click here to see more on these opportunities to hire the best AND create a more diverse workplace. Why weren't there any of these when I was a kid? OK so it's not really new, but it's new to me! Campo Risa (Camp Laughter) has been doing this since 2000, actually. This unique day camp offers games, arts & crafts, and language activities en español--with native Spanish speakers. 4 campers min.per session, snack provided. COST: $ 180 per camper- sibling discounts: $100 per extra child; Scholarships available through Puesta del Sol PTA, all checks made out to PTA. This camp is for students K-Grade 5 and is sponsored by the Puesta del Sol PTA. Excited news--that fantastic party I went to last weekend raised nearly $20,000 for Crooked Trails and their mission to bridge cultures. Last year's raised $14,000 (which helped build a girl's school in Peru!) --next year's is sure to be even bigger. >>Sponsorship, anyone? Seriously--it's a neat audience, a great atmosphere and a terrific cause. Get in touch with organizer Tracey Klinkroth if your business might be interested: tracy@epiphanyresearch.net. And the costumes...check out the photo gallery to see some of our city's creativity! Note in this picture here 1) I *am* wearing a dress, you just can't see it, and 2) that mask I'm wearing is straight from my trip to Venice last fall and, 3) yes, it was a bad hair day. If you're looking to be part of the Cinco de Mayo celebration south of Seattle (not the one at the Seattle Center), call Rebecca Lambert of Bustos Media today. She has just two booths left--not sponsor booths, so no promotion included--just space. Everything closes May 1st. Rebecca can be reached at 253-905-6552. Our friends at V-Me ("Intelligent Entertainment") announce special programming (on and off TV) for later this month. We celebrate our children’s potential this month with El Día de los Niños (Children’s Day) on April 30. Inspired by the traditional Mexican Día de los Niños, author Pat Mora helped establish El Día de los Niños/El Día de los Libros in the U.S. in 1997, giving the holiday a special emphasis on literacy. The U.S. Congress officially declared April 30 as the Day of the Child. All over Washington state, schools, libraries and communities are marking the holiday with special events. Visit V-Me later this month for updates on an event near you. And if you haven't yet tuned into V-Me, you really are missing some quality programming that's perfect for the whole family--en español. Washington CASH is all about helping entrepreneurs through its FREE education and training and subsequent microlending opportunities for people starting and growing their business. We wanted to take a moment to thank Sandra Maqueda for helping Washington CASH and Beto Yarce promote this fantastic service on her El Rey morning show through interviews with the organization. That's on 1360AM - tune in one of our local stations that offers 24/7 Spanish-language talk and music! In the current online magazine from Washington State University (my alma mater! ), Professor Annabel Kirschner from the school's Department of Community and Rural Sociology, shares the latest diversity numbers for Washington State. As we've always heard, the state's counties really differ, one from another. And King County is the one that skews the rest of the state's figures. And we also learn that the state's increasing diversity overall is illustrated as the white, non-Hispanic population has dropped below 80% for the first time since the mid-19th century. In 1980, whites represented 90.2 percent of Washington’s population. By 2008, that percentage had dropped to 76.2. Actual white population over that period actually increased by better than 25 percent. However, over that same period, Washington’s Hispanic population grew by nearly 200 percent. 200 PERCENT GROWTH! Take a read! The complete draft report is also available there for download as a PDF. Whenever I talk to groups about Hispanic marketing "best practices," I mention Plaza Bank. Granted, the Bank was founded by businesspeople, some with Latino backgrounds themselves, with the unique objective of combining world-class banking services with financial literacy outreach for Latinos and other immigrants. Many of its customer-facing employees are native Spanish speakers, to best serve their Spanish-dominant customer base. They consider the products they offer and ensure that they can provide the products most in demand by Latinos. For example, they offer a fantastic $5 money transfer product because they know Latinos regularly send money to their families in their homelands, and they wanted to give customers and non-customers alike the opportunity to do it affordably. The Bank's website, merchandising and collateral are bilingual. Plaza Bank and its staff show multi-faceted involvement in the local Latino community, and are working to nurture relationships and trust all the while. They support organizations that serve the Latino community either with social services, education, or general financial services (they're a member of Bank On Seattle and have contributed to the CASA Latina, the Ernest Aguilar Scholarship fund for UW students and other organizations). I bumped into Vice President Danielle McIntyre today and we chatted in the Westlake Park sunshine. She said something to the effect of, "It's not about tacos and soccer tickets." Danielle's right, and I couldn't have said it better myself. Companies sometimes try to appeal to the Latino community with giveaways, which is fun. But the foundation has to be solid--a foundation that nurtures trust and that shows consistency. So when the fun wears off, there's a reason for a real relationship. If you're giving them something, make it something that's relevant to your product if you can. Plaza Bank has these great piggy banks they were giving away for families open children's accounts. This makes sense. At Sounders games for the past two years, as a sponsor, the Bank gave away branded soccer ball toys. This was of course a tie-in with the relationship Plaza Bank had established with the Sounders, and Plaza Bank has built a solid foundation with the Latino community. Alone these trinkets wouldn't have worked. They don't send people through the branch doors, and they certainly don't help retain clients. The word-of-mouth will do that. A professional who is immersed in the Latino community and understands its members' needs, told a contact of mine today, "Plaza Bank is the bank for the Latino community. You can trust them there." That says a lot, especially in a community that may hail from countries where banks can close and FDIC won't save your savings. Plaza Bank has built the right foundation, supporting its relationships with Latino customers with fantastic service and thorough knowledge of banking at all levels. If you share their passion, visit them at their downtown Seattle office, their Kent Station branch, or their site to learn more. To purchase tickets, please click on this link. The evening of April 18th, 2009 was an exciting one for members of the Latin American Studies Program at the University of Washington, as they held an event called, “Party with a Purpose” -- a Spring Fundraiser which provided an opportunity for members of the Seattle community to meet the new faculty and staff, as well as students in the Latin American Studies Program to learn about their vision and what the future of the program looks like. The party was held at the Greenwood Collective, a beautiful space where guests mingled and danced to live Latin music from 6:30pm to 1:00am. In the outdoor patio and garden, guests enjoyed a fine selection of locally-crafted beer and wine, and in the red-tiled kitchen they filled their plates with delicious hors d’euvres from around Latin America, including El Salvadorean pupusas (masa flatbread stuffed with beans, cheese, or meat), Venezuelan arepas (bread made of corn), and Brazilian bolinhos (little balls of shredded chicken, breaded and fried). The dance floor was never empty with bands such as Grupo Quetzal with Martha Gonzales, Mudzunga and her Venda Singers, Monica Rojas and her Afro-Peruvian Ensemble, Juan Barco y su guitarra, and Dingolay who kept the guests grooving to their Latin beats. Even the assistant director of the Latin American Studies Department, Dr. Marisol Berríos-Miranda, took a turn at the keyboard, pleasantly surprising everyone with her sizzling salsa tunes that got everyone to show off their salsa moves. The night was a great success as people were able to network and bond, as well as really “party with a purpose” by donating to the Latin American Studies Program to help them build their coffers to support student abroad programs, business partnerships between Latin America and Washington, and outreach community activities. We look forward to joining the program in future events that bring the community together, Latino style! Did you attend this event? If so, please comment here if you like! This is a great opportunity for Latino businesses to get recognition for their contributions in our community. Our local Univisión affiliate, KUNS, and American Family Insurance have teamed up to present the 2009 Latino Business Awards! This is a 10-week program wherein each week individuals are able to nominate a Latino-owned business and each week a winner will be chosen, for a total of 10 winners! At the end of the 10 weeks, a banquet, hosted by KUNS newcaster Jaime Méndez, will be held at Fisher Plaza to recognize the winners on July 1. This is a great opportunity to let Latino businesses know how much we appreciate them. To nominate a business or for more information, click here. Or you can contact Rosalba Valerio Pantoja directly, at 425-223-0375 or by email at rvalerio@amfam.com. Business must be at least 51% Latino-owned. For the purpose of this award we are defining Latino as individuals of Mexican, South American and Caribbean descent. Must have at least one grandparent or parent who is Latino. Business must have a maximum of 500 employees. Applicants must have been in business for a minimum of 1-3 years. Nominee must be 21 years old or older. Winners will be selected by a selection committee of 7 individuals which will consist of business owners and leaders in the Latino community. Winners will be selected based on their level of involvement in the community as well as business acumen. The decisions of the selection committee shall be final. Our friend Valentina Vitols, a professional photographer who hails from Venezuela, is affiliated with an amazing new company: Shutter Tours. This is an organization that leads amateur photographers through the most interesting places Seattle has to offer during a 3-hour walking tour. The coolest part is that Valentina is offering tours en español, in addition to the regular English-language tours offered. Check them out! Let us know your feedback! I attend nearly every King County Hispanic Chamber of Commerce breakfast. Last month's featured Richard Velasquez, president of the Seattle Chapter of National Society of Hispanic MBAs (NSHMBA), and it was great to hear about how Education, Community and Unification served as the three pillars of success in his life, and how he sees that this applies to all Latinos. Next month's breakfast will be equally interesting to event-goers, since it will be focused on the launch of the Seattle Sounders FC. In case you hadn't heard, our new team sold 26,000 season tickets before the first game even took place--they are HOT! Our friends Bart Wiley (Director of Business Development) and Carlos Oseguera (Hispanic Outreach Coordinator) will share the inside scoop - hope to see you there! To RSVP, visit the site. Click here for the general Chamber site. Join and hear from Microsoft executives who will share their leadership experiences in the company as well as their current business challenges. Microsoft continues to focus on areas of opportunity and growth and hires with a focus on their most important business priorities. Therefore, Microsoft recruiters will be on-site to network and discuss some open opportunities in business management, marketing, finance, and engineering. If you’re interested in career opportunities, bring your résumé and learn more about available positions. Microsoft HR representatives will be on hand to meet with you. Microsoft Divisions with Open Positions: Entertainment and Devices Division (E&D) Central Marketing Group (CMG) Microsoft Divisions available for Networking: MS Operations Microsoft Business Division. This event is open to professionals, undergraduate, and graduate students. For more details and to RSVP for this event go to their site. Appetizers and refreshments will be served! Raffles for Microsoft products! We're hearing that there are companies out there that want to learn how to the Hispanic community, locally or nationally, but now have limited funds to work with. So we're here to help! Our Hispanic Marketing Consultation is a product we've always offered, but never messaged here. Based on what we've been hearing, however, it's worth spreading the word! Includes one phone conversation (up to 2 hours) and one follow‐up email. Then we'll follow up with an email to include high‐level information from phone conversation and any helpful links or other resources. This popular prepaid package is also offered at our downtown Seattle office if it's convenient for you to visit. Is this a service that your organization can benefit from? If so, call us at 206-621-2185 to set up your appointment. Ad Club Diversity Luncheon - next Tuesday! Barack Obama set many new standards during his historic campaign, and diversity played a key role in almost all of them: A minority candidate, reaching out through new and varied channels to a broadly diverse population. Tomorrow, the American Diabetes Association hosts its 8th Annual Diabetes Expo! *and of course more opportunities to win FREE door prizes!!! *Dr. Laura Baker - "Diabetes and Alzheimer's Disease: Taking Control to Improve the Odds"
*Dr. Paul Ciechanowski - "Diabetes and Depression: The Ups and Downs of Glucose and Mood"
*Dr. Irl Hirsch, Dr. Molly Carlson, and a panel of experts - "Using Diabetes Technology to Control Your Diabetes"
*Dr. David McCulloch - "Top 10 Tips for Taking Control of Your Diabetes"
*Jean Gardner, MA, RD, CDE - "Pre-Diabetes: Is This My Wake-up Call?" *Alice Fong and Jennifer Okemah - "Take Control: Making Exercise Fun and Nutrition Myth Busters"
Join them tomorrow - Save time and register online. Want to strut your Latin American colors? Torchlight Parade! Centro Cultural Hispano Americano is having an organizational meeting for the participation of the Hispanic/Latin American countries in the Torchlight Parade. The actual parade takes place Saturday, July 25 at 7:30pm in Seattle. If you have a folkloric costume from your country and would like to be part of this effort, please come to this Saturday's planning meeting! Please share this with people you know who may be interested. If you are part of a national organization (Colombia Vive, Club Kantuta, etc.) please inform your organization about this opportunity to represent your country in a Seattle tradition! Hello and Happy Tuesday! Tomorrow is the Women in Communications "Know Your Audience: Tips for Target Marketing Success" seminar at the downtown library. I'll be presenting at this seminar and will discuss the Top 4 Ways to attract and retain Hispanic customers. Also presenting are Carly Jackson and Tracey Wilkinson from Fort Lewis. Their focus will be on reaching consumers in the military. Registration's officially over, but you can show up at the door. Other Details at their website. Special notes: Please enter the library’s main entrance on Fourth Avenue (library is closed to the public at this hour; a staffer will greet you there). Parking garage on Spring Street between Fourth and Fifth Avenues ($13 for 3 hours). This location is also in King County Metro’s downtown Ride Free Zone. It's not on the second Sunday of May; it's not always on a Sunday, even. In Mexico, Mother's Day is always celebrated on May 10th. This is something Rebecca Lambert over at Bustos Media reminded me about. It's not in every Spanish-speaking country, but remember that about three-quarters of our Hispanic population is of Mexican descent. Definitely an item for your planning calendars! Mother's Day in Mexico is celebrated by children honoring their mothers; sons and daughters stay home on the eve of Mother's Day. The actual day is celebrated with gusto as churches in Mexico organize special mass. The highlight are the orchestra, which plays "las mañanitas," and distributing tamales and atole, the traditional early-morning meal, to all local moms. Just like in the United States' culture, people in Mexico give flowers, cards, and gifts to their mothers. Younger children make handmade gifts for their moms. Schools will organize Mother's Day events at which little ones present entertaining skits and songs to express their gratitude for their mothers. In the Seattle area, we're celebrating Mother's Day this year at the Puyallup Spring Fair. Huh? This year's Cinco de Mayo celebration at the Puyallup Spring Fair is actually on the day both the U.S. and Mexico celebrate Mother's Day. (The days coincide this year.) El diez de mayo. Rebecca noted that sponsorships are still available for the big event, which has lined up three headliners and three local bands. Plus a variety of Latin foods and other fun stuff! Closing date for sponsorship is the last day of this month! Another Saturday Night Party with a Purpose! The Latin American Studies Program at the Jackson School for International Studies at the University of Washington invites you to join them for their Spring Fundraiser. Come to hear live music and dance with Grupo Quetzal with Martha Gonzales, Mudzunga and her Venda Singers, Monica Rojas and her Afro-Peruvian Ensemble, Juan Barco y su guitarra, Dingolay, and others. They will have an art exhibit, silent auction, food and drinks. Come and meet the new faculty and staff and the student leadership in the Latin American Studies Program, and hear what their vision for the future looks like. This fundraiser will help them build their coffers to support student abroad programs, business partnerships between Latin America and Washington, and outreach community activities. Suggested donation: $5.00 students; $20.00 general. Only one bus stop from the UDistrict and one block away on bus route #48 which leaves from the UDistrict. In just one week: The FREE American Diabetes Association Expo! This is becoming a most important topic for our health in the general market as well as a serious concern within the Latino community, where one of every four children is at risk for diabetes. WHY: Because your heath is #1! See the organization's website for more details and to register for this FREE opportunity to improve your health and that of your family! Spread the word! Our former intern, Adriana Flores Aponte, has been volunteering for this organization since she was working with us more than a year ago. You can help, too! Below are volunteer opportunities at the Expo and the three shift times. If you are willing and able, they would greatly appreciate your help. 1) 9 a.m. to 12:00 p.m. 2) 12:00 p.m. to 3 p.m. 3) 3 p.m. to 6 p.m. Registration booths: Assisting with day of, online, and speaker/volunteer check-in. Attendee surveys: Walk around and solicit feedback, encouraging people to fill out the surveys and turn them in before they leave. Vendor/Exhibitor relations: Bridge the gap between our production management team and the vendors, be a runner between the two, etc. Ask the experts and screenings: This opportunity is only open to people or students in certain medical fields. The Bellevue Parks Department is looking for a certified/professional intepreter who is bilingual in Spanish and English to make announcements on stage at our annual 4th of July Celebration in the Bellevue Downtown Park. The hours would be approximately from 5 - 9 pm. Pay is $130.00 plus a meal ticket. Person must have a business license. The event annually draws close to 50,000 people each year. WHEN: TONIGHT! April 9, 2009. 7-9pm. NAFTA turns 15 this year and has yet to deliver on claims of increased prosperity and reduced migration. How does this impact workers, farmers, small business owners, and the environment? What should fair U.S. trade and immigration policies include, and what should the future of NAFTA and similar agreements look like? Join a panel of civic leaders and community members to look at the impacts of trade and immigration policies on communities in the US, Mexico and beyond. Small group discussions (facilitated by panelists plus other local community leaders) will further explore the roots of migration and the various social movements for food sovereignty and trade justice in our communities. Special guest Baldemar Mendoza, of Oaxaca, Mexico, is an expert on food sovereignty and the impacts of free trade agreements on indigenous farmers from Oaxaca. This event is free and open to the public - donations are welcome. Homemade tamales will be available for sale, courtesy of the CASA Latina Workers' Defense Committee. Local bus routes: 1, 15, 18, 39, 57, and more. Street parking available nearby. Witness for Peace NW, CAGJ (Community Alliance for Global Justice), El Comit(& Pro-Reforma Migratoria y Justicia Social, Washington Fair Trade Coalition, Lettuce Link of Solid Ground, CISPES (Committee in Solidarity with the People of El Salvador), Student Labor Action Project (SLAP), Bridges Center for Labor Studies, Martin Luther King County Labor Council. Help them spread the word - please share this announcement! Violeta Alano and Teresa Jones from Univision local affiliate KUNS were there. Their team has put together an incredible Latino Business Awards program with American Family Insurance--stay tuned for more info on that. Oscar Flores talked to me about ESPN Deportes radio, and how the new-ish 24/7 sports en español will be moving to the FM dial this summer! I chatted with a guy named Roger who is originally from Mexico City and now lives here. In the last year he's been pretty busy building a business from scratch--a commercial cleaning business that is now across the country and employs 300 people! Kudos to Roger and his entrepreneurialism. And many more professionals were there, meeting new people and sharing their stories. The bar at the new Olive 8 Hotel hosted the event for this month's meetup, and concocted two special sangrias for the group which were fantastic. Unique for a hotel bar--unusually open and public-feeling, with lots of glass. Terrific-looking foods (which I passed on but others enjoyed). The positive buzz echoed what we'd learned in an online survey of Latino professionals earlier this year, when participants were asked how they feel during the present economic crisis in relation to various aspects of their lives. As it turns out, shopping behaviors have taken a hit, but otherwise Hispanics are fairing well comparatively. In regards to work, 41% reported feeling better than average or great, 43% feel average, and 17% feel worse than average. In terms of their social life, 52% feel better than average or great, 40% reported feeling average, and only 8% feel worse than average. When it comes to shopping, responses showed that 22% of participants are feeling a positive effect, 37% are not feeling any change whatsoever, but the majority, 40%, are feeling negatively affected. When asked how the economic crisis is affecting their ability to send money home to their families, the majority (62%) have not felt a change, 11% feel better than average, and 27% are feeling negatively affected. Seattle-based OneAmerica just released a report according to the Puget Sound Business Journal showing how our immigrant community is becoming a larger component of the state's workforce based on continuing immigration and aging of the native-born population. In fact, OneAmerica found that immigrant workers now represent 14.3 percent of Washington’s civilian work force, and added that immigrants contribute heavily to tax revenue and consumer spending in this state. Reserve Your Seat by Friday! Know Your Audience: Tips for Target Marketing Success. The Association for Women in Communications Seattle Chapter is focusing on target markets for its Spring Workshop. Presenters include Carly Jackson and Tracey Wilkinson, advertising & commercial sponsorship managers, Fort Lewis, who will discuss ways to successfully reach military in your marketing efforts. I will be there as well, to offer my perspective on how to embrace the Latino market. We'll each be presenting and then there will be time for audience Q&A, they assure me. 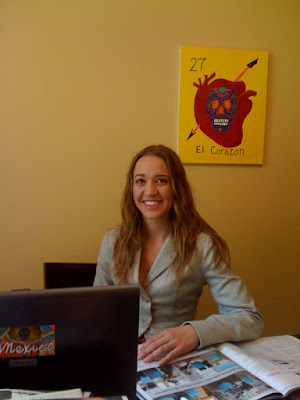 Yes, I get questions and funny looks from people who learn I help companies market to Latinos. "But you're ... " the response usually trails off. The thing is, not all Latinos are Hispanic marketers (or marketers at all!) and not all Hispanic marketers are Latino. Like me. Good marketers possess the experience, the research and the insight to make the right decisions, no matter what their ethnicity, and no matter who their target. This Ad Age article makes this important statement. It also defines the quadrant of "getting-it-ness" (a word I just made up). Where do you sit? Take a read! 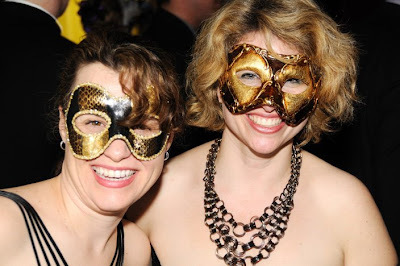 It's time to order your tickets for Venice is Sinking, a Venetian Masked Carnival Ball! It's a party with a purpose--proceeds to benefit Crooked Trails and its La Casa de los Niños school in Chinchero, Peru, which offers young girls the opportunity to study. See more about the charity and the event itself at www.carnivalseattle.com. Big discount for early ticket purchase (but if you pay at the door, remember it's for a good cause). If you're Latino and/or bilingual English/Spanish, they say this is the job fair for you! Job Opportunities: Sales, Customer Service, Clerical, Administrative, Engineering, Finance/Accounting,Government Opportunities, Marketing & Advertising, Business Administration/Management and many more. For more information on the program and the organizers, see the Latcareers site! If you go, please comment here on your experience. If you get a job, let's celebrate! Every week at the Triple Door across from our office there's Sunday Night Salsa. I just learned that while I was working on taxes last night, my friends were out enjoying a packed house, Wild Ginger food at happy hour prices and the live music of Expresión Latina. Yes, there was dancing. "Everybody!" Apparently there's a different band every Sunday, but it's always Sunday Night Salsa. Give it a try! I've talked before about Seattle's Global Partnerships and the amazing microlending they're doing in Central and South America. But did you know there are microcredit programs right here in Washington State? Take a look at this week's Puget Sound Business Journal for an article on local microcredit opportunities, including a bit on Washington CASH and their new focus on helping immigrants start and grow their businesses. Our own Gigi Basaure is volunteering for Washington CASH and sees first-hand how the programs works. After completing an 8-week systematic program of education, participants have the opportunity to apply for a small loan. These programs are now targeting Latino, Somali and Ethiopian entrepreneurs with coaches, like Beto Yarce, who work with them in-language. I've invited Gigi to post her experiences with the program here, to give us an inside look at how it works. Our Friends at V-ME Need Your Help! We have learned that V-me services are in jeopardy due to tough economic times. Funding for V-me and many other state programs is being debated in Olympia. • Contact your legislator and tell him/her why V-me is an important service to you and to the state. You can find your legislators by going to http://leg.wa.gov/DistrictFinder/o OR call the in-state toll-free hotline number, 1.800.562.6000. • Contact the office of our senate champion, Senator Margarita Prentice. Thank her for her efforts to keep V-me in the budget and urge her to support raising our funds to $180,000, the minimum annual budget we need to continue the offerings of local services, including early learning outreach, local production and transmission from the Puget Sound to Tri-Cities. E-mail her at Prentice.Margarita@leg.wa.gov. V-me is a cost-effective way to serve the fastest-growing segment of our Washington population. It provides resources for parents and caregivers through quality bilingual workshops that provide information and tools to help prepare children for school. Thousands of children and childcare providers have benefitted from these bilingual early learning workshops. V-me connects Spanish speakers with vital local public affairs through programs including Ask the Governor, Tough Times: Rising Above the Financial Crisis, and a host of shorts on education, culture, arts and financial literacy found nowhere else on television. The educational and entertaining award-winning content for children and families—the type of programs that help children grow and thrive—is not available anywhere else in Spanish-language broadcasting. V-me is catching on! In a recent study of Latinos in Yakima and the Tri-Cities, 17.7% of respondents reported having watched V-me in the past 7 days. V-me reaches tens of thousands of homes from the Puget Sound to the Tri-Cities. In our own Conexión Marketing online survey of media consumption, V-Me was right up there. Let's show this important medium our support! Seattle University held a special reception last night welcoming Latino undergrads to the University. Students who had been accepted, some with their parents, attended to hear about current student experiences and how SU supports each student as they enter the University and find their path. Victor Zamora of the school's admissions office put the event together and invited Latino faculty and other staff to share their roles, and to join in recognizing these students. Victor read off some statistics that remind us that in the U.S., Hispanics lag behind non-Hispanic whites and every minority in terms of high school graduate and college entrance, and he applauded not only the students in attendance but their parents for encouraging them to achieve more than perhaps others in their family had before them. Our own research shows that a whopping 39% of Puget Sound region Latinos have not finished high school, 37% have their high school diploma, and 16% have at least some college. How does this compare to the national statistics? Considering that 32.5% of U.S. Hispanics (twice as many) have at least some college, we're lagging way behind. And this issue will be compounded when Latinos represent 30% of our entire country by 2025. Victor mentioned that of all universities in the U.S., only 4% of the professors are Latino. This explains a lot, because students don't have the same encouragement or mentorship they might have if they enter a school with a professor that looks like them or speaks their language. To download our free study on Hispanic Consumers in the Puget Sound Region (produced in conjunction with Seattle University), please visit our site.